Shah Rukh Khan sniffles on his tweets every 45 days about suffering from a blocked nose and the common cold. You would think a man of his stature has an army of specialists working to strengthen his immunity to reduce the frequency and intensity of this untreatable viral attack. But really, the common cold is the great equaliser. The common cold or viral upper respiratory tract infection (VURTI) is a contagious, infectious disease of the upper respiratory system. Symptoms include a sore throat, runny nose and, sometimes, fever. There is no cure. However, the symptoms usually resolve spontaneously in seven to 10 days, with some symptoms possibly lasting for up to three weeks. It is the most frequent infectious disease in humans and strikes twice a year in a healthy adult and as many as six times a year for children under 12. And it is the most irritating, too. It is difficult to sleep with a blocked nose, watery eyes, an aching body and when you tell colleagues you have a cold and don’t feel like coming to work, they present you the Wimp of the Year Award. Zinc and vitamin C lozenges: One every 2-3 hours on the first day. For those with sensitive teeth (lozenges are sour) three 500 mg vitamin Cs a day (after breakfast, lunch and dinner) and 50 mg elemental zinc after lunch. If your stomach is not full, zinc can cause severe nausea, so make sure you eat a hearty lunch before you pop it. Carrot & tomato soup: Vitamin A helps heal inflamed mucous membranes and strengthens immune system. Tomato has lycopene, a powerful anti-oxidant to help fight diseases and infections. Ginger tea with honey: Self explanatory! Ginger is anti-inflammatory, brings down internal inflammation levels, reducing the cold symptoms. 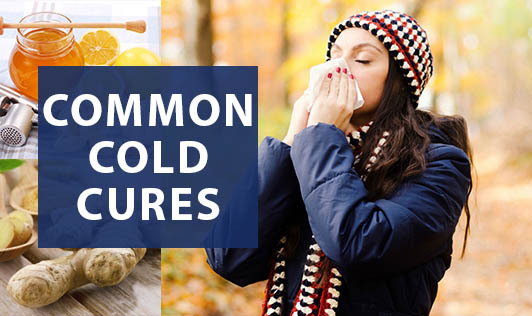 Avoid milk and milk products: They feed a cold by causing mucous. Tell your mum to use the haldi milk for tonsillitis, not a cold.